age 79, was called to his Heavenly home on March 31, 2019 and was reunited with his loving parents, Kenneth Lee Lewis and Clara L Chapman Lewis; his sons, Rodney (50) and Fred Jr. (33); along with two infant grandchildren (lost in miscarriage). He was also predeceased by siblings; Gerald Lewis, James Lewis, and Kathleen Lewis Andrews. He is survived by his wife of almost 60 years, Patricia A Margeson Lewis; his daughter, Cynthia (A Scott) Walker of Horseheads, NY; his son, Wayne (Jackie) Lewis of Elmira Heights, NY and his daughter-in-law, Karen Reynolds Lewis of Erin, NY. He is also survived by his brother, Kenneth (Loretta) Lewis, of Horseheads, NY and 5 generations of family, including grandchildren; Terrah (Dan) Strait (Horseheads, NY), Rodney Jr. (Elmira, NY), Whitney (TN), Tony (TN), Allan S Walker II (Horseheads, NY), Shawn (Horseheads, NY), Fred III (Horseheads, NY), Kenneth (Buffalo, NY), Robert (Erin, NY); 13 Great-grandchildren and 1 Great-great grandchild. Fred lived a life of commitment and hard work. He joined the Future Farmers of America (FFA) while in high-school. He pursued his passion to become a life-time farmer and was a long-standing member of the Chemung County Farm Bureau. Simultaneously, he pursued a career as a dedicated truck-driver, starting as a milkman and transitioning to an over-the-road driver with Eastern Freight Ways. He transferred to Yellow Freight Trucking, receiving an 18 year “Safe Driver” award. Fred also worked at Smith Transport in Lancaster, PA, receiving their “A Million Miles” award. 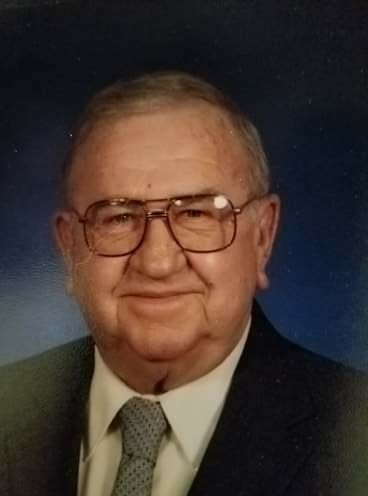 He was also a member of Central States Teamsters and Teamsters of NY and PA. During his retirement years he enjoyed a season of driving for Schlumberger Oil and Gas Company. Overall, Fred spent well over 30 years in the trucking industry while tending the land. Fred chose to serve his country by enlisting in the Army (1958-1962). He spent a portion of those years stationed in Korea. He is being recognized for his military service with Military Funeral Honors at National Woodlawn Cemetery in Elmira, NY during a private, family gathering. No further services intended. A Life Memorial is planned at the family’s convenience. In closing, Fred and his wife, Pat, were also members of Lighthouse Baptist Church, formerly Calvary Baptist, on Gardner Rd in Horseheads, NY. God gave Fred a fierce love for his family, for the land they farmed, and for his country. We pray his fullness of life and his deep love of family would leave a legacy that would grow through generations.